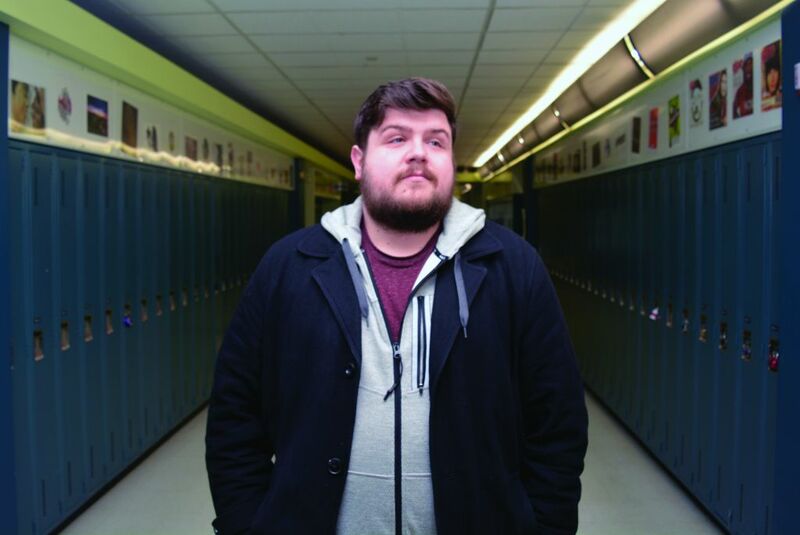 Since graduating from Algonquin in June 2015, Dylan St-Amand has wasted no time jumping onto his career path and has now gained much newfound experience and memories after working on many local films. St-Amand, a graduate of the broadcasting – television program, works endless hours as a production assistant on local films in hopes to one day reach his goal of becoming a director. Jeremy Atherton, St-Amand’s previous professor, describes two different sides of creativity in his students — one side being original ideas and the other being all over the place. While in broadcasting – television, St-Amand work on many different projects that impressed his colleagues and professors including a music video and a video of the for the York Street March Break. The music video Grizzly Waves – Horizon, is currently shown to freshman students of the broadcast – television program. “Dylan is definitely well-suited for the filming industry,” said Atherton. After Algonquin, St-Amand started his journey with an internship for the Ottawa Redblacks at the Ottawa Sports and Entertainment Group. There, he was in charge of creating compilations and video highlights of games. After that, he started on his first production called First Light, a science fiction teen drama about a girl who is abducted by aliens at a high school party and mysteriously returns with special abilities. During production, St-Amand worked as a production assistant — a member of the film crew who is responsible for various aspects and miscellaneous jobs around the set. The variety of different responsibilities St-Amand had while working on set included pitching tents around the set, keeping people quiet during filming and to essentially making sure everyone knows what’s going on and keep the peace. However, halfway through First Light, he was upgraded to the role of driver. In this position, he was tasked with bring cast members from their trailer to set and pick up or drop off any equipment from Toronto or Montreal. “Cast, directors, producers, anyone who needed to go from base camp to set, I had to bring them.” said St-Amand. One of St-Amand’s fondest memories of his career so far was from the first day of filming and the funny disasters that unfolded while on set. He explains that he was tasked to set up for a party scene in a quarry with a fire pit in the middle and not everything went according to plan. After his experience on First Light, he went to work on a bunch of smaller productions. “I made contacts from First Light who invited me onto what we call lifetime movies,” said St-Amand. Lifetime movies are described as being films with lower production values and that usually star D-list celebrities. One of these films that he worked on was Killer Mom, a mystery-thriller about a young girl’s journey to solve the murder of her father. While working on that film, he was able to work as a driver again. More recently in St-Amand’s career, he was able to get work on bigger films with a more high-profile director in November 2016. Unfortunately, he was unable to give any details about this film due to it still being in production. Another film that he just got off of production for has a Christmas theme. St-Amand was unable to give any details to the Times about this film because it is still in production. For the future of his career, St-Amand has heard rumours through the grapevine that two producers that work on four to five lifetime movies a year. That’s not including movies that are going to come from Netflix and outside sources. Between these two producers, there are going to be at least eight movies coming out this year and St-Amand hopes that his experience and connections will get him work in the future. The only information about these future movies that St-Amand could share with the Times is that one of the films is going to be a bigger production compared to the lifetime movies he has worked on in the past. He also excitedly said that the assistant director of the Christmas movie he just got off of wanted St-Amand to contact for a possible trainee-assistant director position. So, no matter how many hours or how difficult the work may be, St-Amand is more determined than ever to reach end goal of one day sitting in that director’s chair. “I write a lot, I have a lot of stories in my head and some point down the road that instead of putting words on a page, I wanted to make them life,” said St-Amand. Rolling out the red carpet Reviewed by Kory Glover on March 16, 2017 .